Koyo – Old School Datsuns Get New Hotness In Cooling! 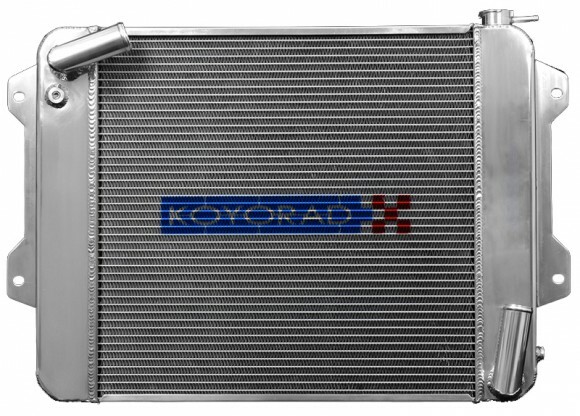 Koyorad announces the soon to be released 2009-2010 Hyundai Genesis 2.0L Turbo MT All Aluminum Radiator (Koyorad #VH13120) with Koyorad exclusive “Hyper V” high efficiency 36mm core. With assistance from the Hyundai /Kia America Technical Center, and Genesis tuners, Koyorad has track tested this design extensively in the Southern California heat with outstanding results. Like all Koyorad All Aluminum radiators this is a high quality, hand-made product, designed by our very own engineers in Japan. Development was made with real-world track conditions and feedback from, then finally manufactured and packaged in Koyorad’s privately owned factory in Indonesia. Hyundai chose to mount their intercooler underneath the radiator structure, therefore our developers in Japan paid special attention to the reinforcement and placement of these brackets to assure precise fitment and long term durability to avoid street or trackside mishaps. You will also notice our engineers have placed a true 90 degree independent filler neck placed high up on the passenger side tank (instead of incorporating the filler neck into the tank itself) in order to extract the most cooling efficiency from the Koyorad cross-flow radiator core. There may be other Genesis radiators available at this moment, however Koyorad VH13120 will be worth the wait! This item will be available shortly, stay tuned for updates! Genesis 3.8L V6 MT owners… be prepared for the release of an All Aluminum Racing radiator for this vehicle as well! 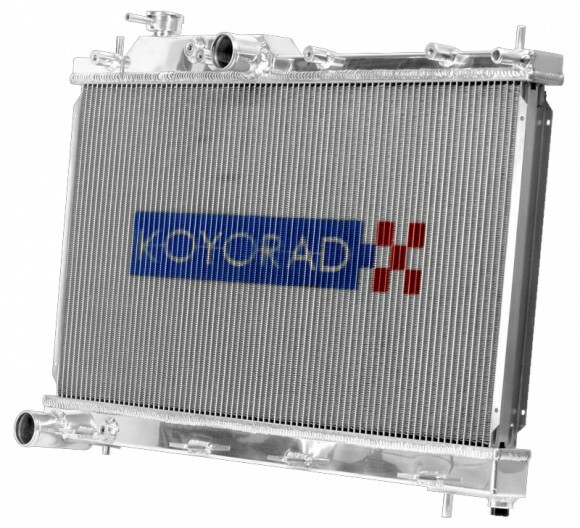 Koyo is proud to announce the universal Engine Oil Cooler (EOC) after a collaborative effort with the Japan, Singapore and US offices. 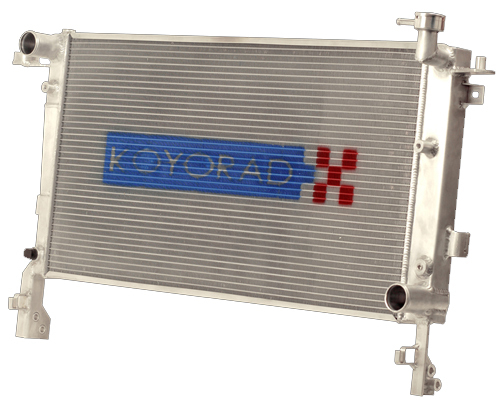 For many years in Japan, Koyo custom oil coolers have proven their effectiveness during competition in D1 Gran Prix and D1 Street Legal on our sponsored vehicles. These purpose-built drift cars are subject to indirect and inconsistent flow of air, occasional contact between vehicles, and high oil pressures, therefore they require superior build quality and high heat transfer efficiency from the radiators and EOCs. The Koyo Universal EOC is extremely well built, beautifuly polished, highly efficient, and tough in order to be resilient to flying road debris. We spent several months consulting with industry experts to determine an acceptable core size, proper fittings, and best mounting options before introducing this to the US market. Each Koyo All Aluminum EOC is assembled and TIG welded by hand in our privately owned ISO-9001 compliant factory in Indonesia. You can expect the same level of precision and attention to detail as with our all aluminum racing radiators, since they are all made within our Koyo factory. Koyo EOCs feature our N-FLO (Dual Pass) Technology to ensure the highest efficiency, within the tightest of engine confines. Unlike some oil coolers on the market, Koyo EOCs incorporate -10 AN fittings for the inlet and outlet, therefore allowing users the option of stepping down to control oil flow according to their needs, eliminating the use of metric-to-AN adapter fittings. These carefully designed female AN fittings will properly accept both -10 AN type O-rings and crush washers for the best seal possible. 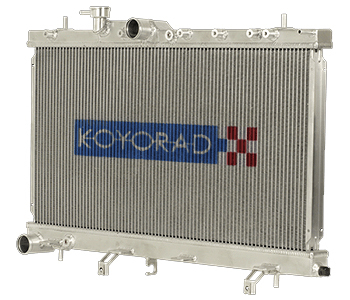 When you’ve invested so much into you engine, and function and quality is paramount, choose our all-new Koyo Universal EOC and use it in combination with a Koyo Racing Radiator for the best cooling system on the market.